In 2015, the role of private, for-profit, spectacularly successful, incredibly useful, and more and more powerful U.S.-based digital intermediaries will become an increasingly politicized issue around the world. As companies like Google and Facebook become more and more important for news media, these political discussions have considerable potential impact on journalism, but ultimately the relationship between digital intermediaries and media companies is only one corner of a larger dispute involving antitrust concerns, tax issues, privacy, and security questions — as well as a wide variety of different political and economic interests at stake from country to country. Right now, most of the attention is focused on Google, which in more and more countries is a more common way of finding news online than using branded websites. At home in the U.S., Google has a market share of between 60 and 70 percent, but in many other countries, that share is over 90 percent. It’s a major driver of traffic to many news websites, with both editorial and commercial implications. It also accounts for more than 30 percent of all online advertising globally, according to some estimates, and of course operates a whole portfolio of different services beyond search. But in the future, the attention is bound to turn to Facebook too, and probably others. Social networking sites are becoming more and more important as gateways to news, rivaling search engines and branded websites in some countries. Facebook is far and away the market leader and another major driver of traffic. It too, increasingly, plays a dominant role in online advertising, with close to 8 percent of the global market in 2014. Like Google, it operates a wide variety of services, and Mark Zuckerberg’s stated intention of building “the perfect personalized newspaper for every person in the world” has sent a shudder through the news industry. Digital intermediaries like search engines and social networking sites are powerful frenemies for news organizations. They can help reach wider audiences — but they also compete directly and indirectly for attention, advertising, and data, and with their growing reliance on search engines and social media, media organizations increasingly find themselves in the uncomfortable position of no longer controlling the main conduits through which stories reach audiences. In some countries, legacy media organizations have turned to national governments as part of their reaction to the rise of the digital intermediaries. Because the most talked-about examples of public and politicized legacy media vs. Google disputes have been from France (newspapers), Germany (especially Axel Springer), and the U.K. (Rupert Murdoch), it’s easy to caricature this as an old world vs. new world matter — and many have. Digital intermediaries like Google and Facebook thus increasingly face political issues both at home and abroad. Both — especially Google — have in response been ramping up lobbying and PR efforts in both Washington, in Brussels, and other national capitals and is also making an effort to reach out to news media and work with them. Just as the popular and commercial success of Google and Facebook is virtually global, so are the questions raised by the increasingly powerful position they occupy in the media environment. But because the answers are in part political, and (much) politics is local, the reactions are likely to vary from country to country. In 2015, we’ll see this discussion intensify and develop. 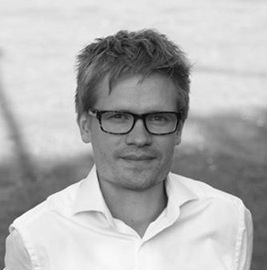 Rasmus Kleis Nielsen is director of research at the Reuters Institute for the Study of Journalism at the University of Oxford.